Wandering the streets of London in late November, there is little more promising than spotting the first Christmas decorations going up, clutching a Starbucks red cup between your cold hands. Ever since I moved to the UK in 2005, Starbucks red cups have made it onto the list of ‘Things that make me feel Christmassy’. I have always liked Starbucks, but have grown really fond of it shortly after little L was born. Not only did my local Starbucks welcome the screaming bundle and me with open arms in the wee hours (7:30 on a Sunday morning). They also provided me with my favourite Vanilla Latte & Tuna Melt breakfast – fuel to keep me going after yet another sleepless night. Free babyccinos and free WiFi are only two of the reasons Starbucks still are one of my favourite coffee places. I just love their inclusive attitude. No matter if you are a business person on the way to your next meeting, a shopper in search for a spot of cake or a mother with a young child – there’s a space for everyone. Behind today’s Advent Calendar door waits a £50 Starbucks card. That’s a lot of coffee and cake. And the Starbucks card goes to: Maria @ Feisty Tapas. Congratulations! Please email me and I will pass on your details. Leave a comment below to be in the draw for the 20th day of the Advent Calendar. I’d like a pretty sparkly thing, but gutted I missed out on starbucks! I love the eggnogg lattes, I will genuinely be very upset in January when they are gone- please enter me for tomorrow. Please, count me in if the next present can be enjoyed even if you’re not living in England! Happy Christmas from Barcelona! Thank you so much Deborah! I’m so thrilled I won. Like Jen from The Mad House, I live in the countryside with the sticks and the sheep, the nearest Starbucks is about 10 miles away so nowadays it’s even more of a treat when I get to sit down at a Starbucks. If everything goes well we’ll soon be moving to a small town with one Starbucks very soon! I love Starbucks! We lived in Borneo and we even had a Starbucks there. I spent many a (very early) morning there with a baby, a toddler and a large latte! Pretty and sparkly! Count me in please! I love pretty, sparkly things! I can’t believe I was right yesterday!! 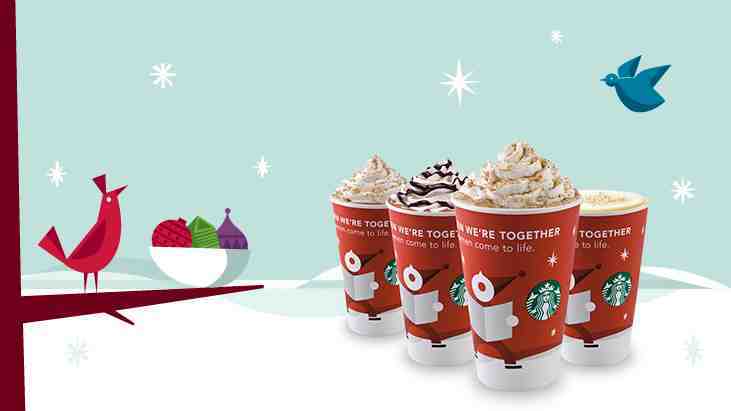 starbucks makes me feel super Christmassy as well. As for tomorrow, no idea but it sound very promising. Fingers crossed. I like sparkly – enter me please. Thanks. Very jealous of the Starbucks voucher. Count me in for tomorrow! You can’t get wrong with something pretty and sparkly! Please include me – lovely prizes! Please count me in for tomorrow – fabulous prizes! Sparkle is a must at christmas! Great prize. I love sparkly! i love starbucks 🙂 it makes me feel like i’m in america for a little bit! It sparkles, it excites! Count me in! That’s an awful lot of coffee… I’d love to be in the sparkly draw, many thanks and kind regards. Pretty & sparkling sounds wonderful! Definitely with you on the Starbucks love. It gets such a knocking, but for me they make a great pumpkin spice latte that I look forward to all year. Now here in the US of course Starbucks is on nearly every street corner – just trying to avoid clearing out the bank account with too many visits!!! Ho Ho Ho! We don’t have a starbucks near us, but I LOVE their hot chocolate! So how about peep-peep, flash-flash, ding-a-ling for the 21st of December? Oh yes, pretty and sparkly is my favourite! I like pretty and sparkly…! Pretty and sparkly i can’t resist i’m like a magpie lol. I’d like to enter the competition too please. Pretty please count me in for the next draw! It’s hard to believe that it’s only 5 days to go! !